[Photos by Baek Sooyeon] Lee Jehoon shared his feelings about acting alongside Choi Heeseo. On June 13, the team of movie Anarchist From Colony gathered at Dongdaemun’s Megabox for a press conference. 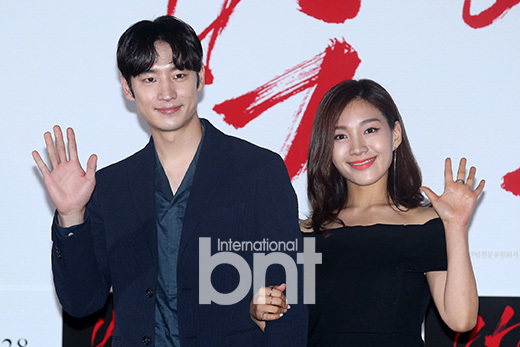 Lee Jehoon, Choi Heeseo and director Lee Joonik attended. Anarchist From Colony tells an unbelievable true story in the context of the Japanese Empire covering up the massacre of 6,000 Koreans in Tokyo in 1923. Lee Jehoon plays Park Yeol, a poor young man who’s in love with Fumiko, interpreted by Choi Heeseo. The movie promises deep emotion as the story between Park Yeol and Kaneko Fumiko unveils. Previous articleTwinkling FIVE BOYS : “SHINee WORLD V” in Taipei !